Today, I was just reminiscing about my life five years ago. We had only been married for about 15 months and had a nearly two month old son. We were living in our very first home we had bought together and had no idea that two little girls, a new home, and career changes would come to bless our lives in the coming years. Yearly family vacations (possibly own an RV). While I know those might seem broad and little bit of a strange combination, these are the things I want for my family right now, but know are more achievable five years from now. Everything in life takes work and we are working towards all of these things. 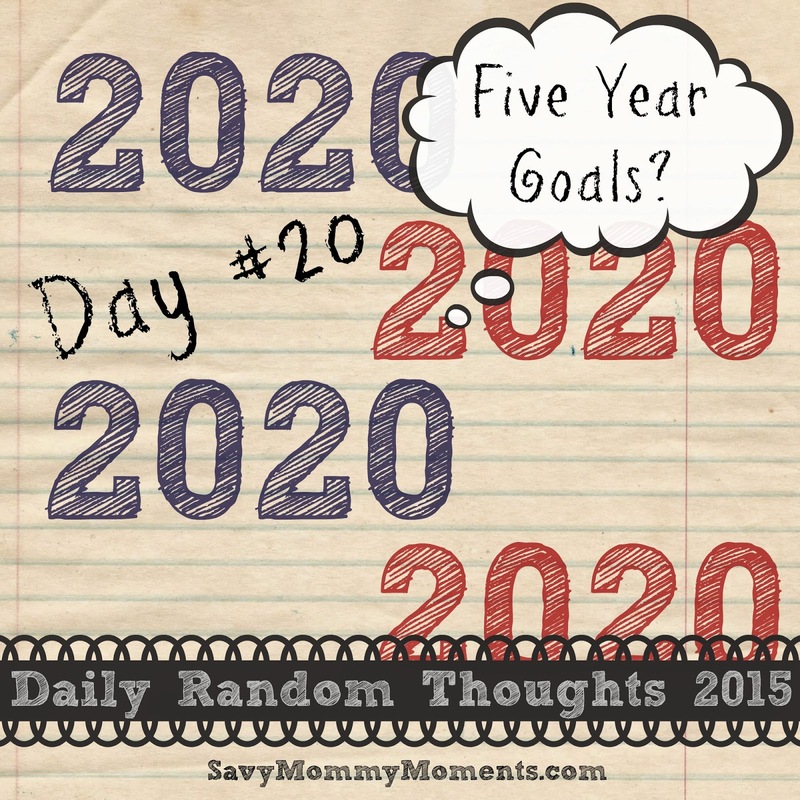 Tell me your five year goals below! Are they similar to mine? I hope you enjoyed Day #20 of Daily Random Thoughts 2015. Check back tomorrow for Day #21! Click here to catch up on the entire series. Make sure to follow me on FACEBOOK, TWITTER, INSTAGRAM and PINTEREST for lots of fun stuff and to stay up to date on new blog posts!